I’m searching for the perfect everyday top. I wear jeans a lot, even though I don’t love the way trousers look on my body. But jeans are the best and warmest if I’m walking on the marshes, or working around the house. They are more practical than a dress. I can wear my undershirts with them, all I need is a shirt or tunic on top and I’m good to go. Accessorise them with some amazing jewels like these and I would be even better. 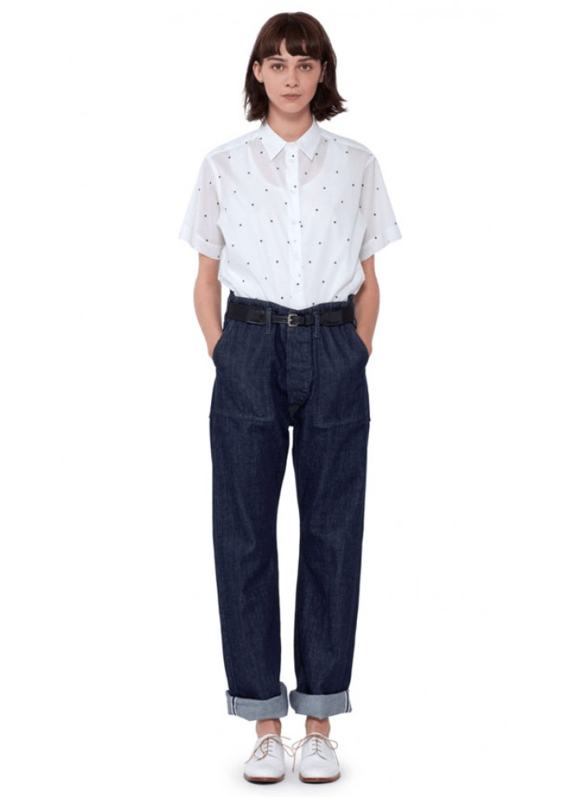 This top is by Margaret Howell, who is known for the quality of her cuts and fabrics. Although this is a boxy shirt, notice how deeply set the sleeves are. The sleeve cap is not flattened here. A flat cap is not attractive on me as the widest part of my arms is my upper arm, not my shoulder. A flattened cap accentuates this. Whereas, a higher sleeve cap gives the apperance of broader shoulders, even if I have to narrow the shoulder of the pattern. This could be a flattering shirt if it came above a UK size 14. It does not. Even better would be some discreet darts to encourage the fabric to move around my body . I doubt I would ever wear it tucked in. But the side slits would fit well over jeans. 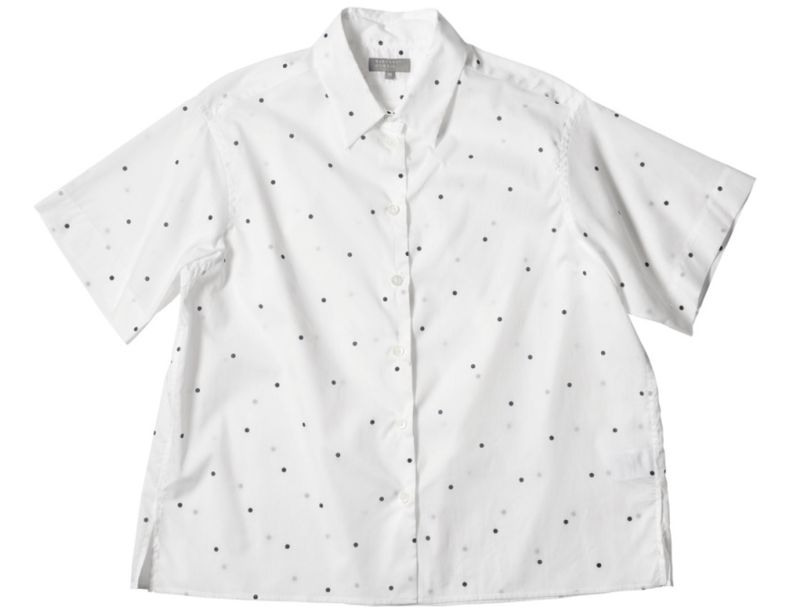 I don’t own any basic button front shirts like this. At least none that I would wear in public. (I have a few Salvation Army XXXL versions for painting in). If I buy a button up shirt that fits my bust, it is huge in the shoulders and the arms are usually too big as well. Of course the answer is to make my own. Do you wear this style? If I made a well fitted-version of this, would I get much wear out of it? Would it be the perfect everyday top?